For anyone interested in microdermabrasion, but who doesn’t want to pay the hefty prices for professional treatments, there are some portable devices that you can use at home that can give you the same kind of results that you get at the spa. 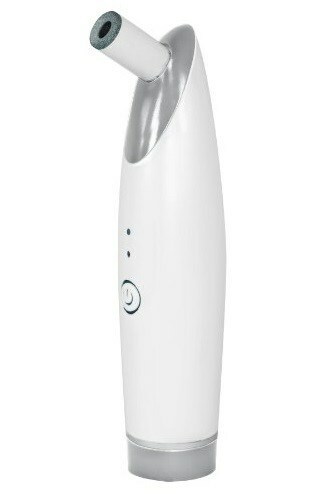 These new devices are a very effective treatment to help you get smoother, brighter skin quickly. They can also help individuals clear up blackheads, remove dead skin cells, even out skin tone and improve your skin absorb topical creams better. There are many different types and styles of microdermabrasion machines to choose from that can fit into a variety of budgets. To help you find the best tool for you for the best value, we have rounded up the standout devices that will give you beautiful skin in no time at all. 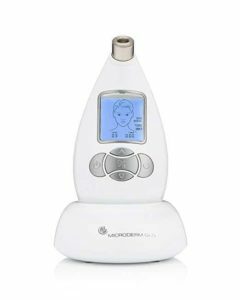 Based on reviews from experts and consumers, these are your best options if you are looking for an at-home microdermabrasion machine. The GLO Diamond Microdermabrasion System by Nuvéderm is one of the newer at-home devices that is delivering salon like result in the comfort of your own home with very work or time invested. It is safe for all skin types and can help smooth out fine lines, wrinkles, blemishes, dark spots, visible pores. Users love the results they are getting with this device; some say it is comparable to salon treatments. It only comes with one diamond tip, so if you like different degrees of abrasion, this isn’t the machine for you. 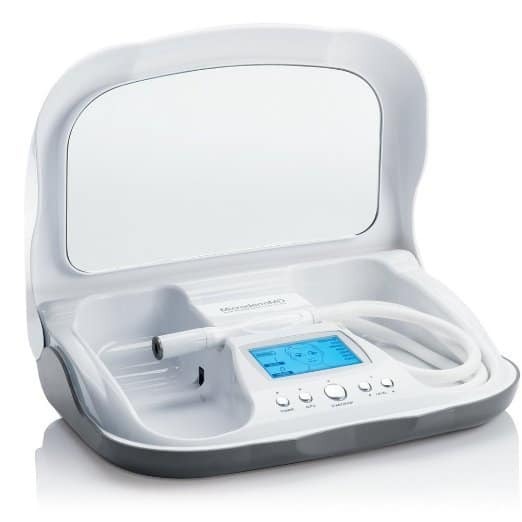 The Neutrogena Microdermabrasion System is a well-reviewed, inexpensive device that is a useful entry-level device if you have just become interested in microdermabrasion. 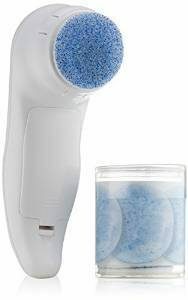 It uses a combo of exfoliating crystals and micro vibrations that, according to clinical testing, can give you the same results as a treatment from a dermatologist. It is intended to be used three times a week in place of your regular scrub. The device uses a one-time-use rejuvenating puff, so the puffs will have to be replaced on an ongoing basis. They contain ultra-fine crystals and mild purifiers, as well as glycerin and replacement puffs, are about $10 for 24. 1 Year Limited Warranty. The ease of use and the cost are the big selling features of the Neutrogena System. Most reviewers find that the system helps to make skin smoother, diminishes fine lines and improves the overall texture of their skin, but it must be used on a long term basis to maintain results. If you have sensitive skin, you should be cautious with this system. Some users find the higher setting to be too harsh. You should also be careful using it around your sensitive areas on your face like near your eyes and mouth. Trophy Skin has a couple of hand-held machines- this is their cheapest model, they also have one called RejuvadermMD that is around a hundred dollars more and is also very popular. The MiniMD uses dual-action therapy with a combination of diamond tipped exfoliation and suction. The suction feature is crucial because it helps enhance the benefits of the device. The kit comes with a well-written users guide that will show you details on how to use it on your skin. This model is corded so you will need to be near an outlet to use it. Clinical trials performed by Trophy Skin on the MiniMD show that 80% of users tested reported decreased wrinkle depth, while 95% of participants said they had softer, more hydrated and refreshed skin. The diamond Tip will last about 3-6 months depending on use. It comes with a 6 Month Warranty/30 day money back guarantee. Users love the results that they are getting for the price they are paying. A lot of the users who buy the MiniMD have had microdermabrasion treatments at the salon and find the result comparable when using the MiniMD. It helps make your skin look younger and healthier. Most reviewers mention this model is simple to use, very effective and a great value for what you are getting. The one big complaint about this device is that despite being so small, it isn’t very portable because it is not cordless, so you need to be near a power outlet to use it. MicrodermMD is a highly regarded home machine; it uses diamond tip technology and dual-action therapy that can give you result similar to what you get at the spa. This machine requires a bit of an investment, and you also have to replace the tip once a year which will cost you another $50, you will also have to buy replacement filters that will set you back $25 for 100 filters. It comes with a 3-year limited warranty/30 Day money back guarantee. Users love the results that they get with the MicrodermMD. It has a great design that is easy to use and works well. Reviewers note that the screen is a great feature that is helpful to walk you through treatment. The machine adjusts the suction level for each area and has a timer, so you don’t overdo any of the treatment areas. If you don’t want to follow the machines guidelines, you can set it to manual and create your treatments yourself. Some users would like to see the hose be a bit longer. Includes everything you need to start, no extra purchases needed. Maintenance – you have to clean and wash heads after each use. 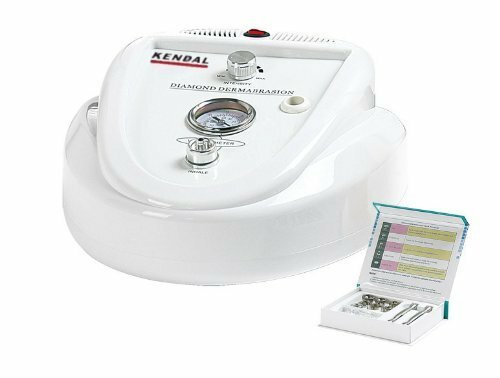 Just like the MicrodermMD, this Kendal Professional Diamond Microdermabrasion Machine uses the diamond tip method. It exfoliates the skin and then vacuums the dead skin cells away, leaving the users with fresher, younger looking skin. It comes with nine tips with different sizes and coarseness, so it works well for some different skin conditions and sensitivities. It also has in-depth instructions on how to use each of the nine tips. This machine works well for a variety of skin conditions; not only is it great for fine lines and wrinkles, but users also rave that it works well to help reduce acne and acne scarring. Users also love that it is small and compact, but yet still very powerful to use. It is a skin-exfoliating treatment it can help improve the condition of scars, wrinkles, fine lines, as well as other skin conditions by removing the outermost layer of dead skin cells from the epidermis. In the past, it was performed by dermatologists, aestheticians or beauticians using a hand-held, device that uses a combination of a fine abrasive tip or crystals and vacuum suction to remove the dead cells and debris. Microdermabrasion is an incredibly popular beauty treatment because the results are noticeable right away and there is a quick recovery time. It is also painless, non-invasive, and now with at home devices, relatively inexpensive. Helps skin absorb creams or treatments. Before you begin this type of treatment, you should be aware that you have to keep doing the procedure to maintain the results. You should also read all of the manufacturer recommendations and warnings before using any at home beauty treatment machine. Easy to maintain and clean – Most machines will require some cleaning and maintenance. The devices we have recommended are generally straightforward to manage and clean. If you are looking at other models, check user reviews to see how cumbersome they are to clean. The harder they are to clean, the less likely you will use them regularly. Cost to run the machine – Another essential issue to consider is the cost of replacement head/tips and price for filters. Some units have very pricey refillable or replacement parts, so you will want to be aware of this before purchase. Some of the at-home machines are using similar technology that is used professionally, and so you can get similar types of results without the enormous cost. The cheaper devices like the Neutrogena system don’t use the same kind of method so the results won’t be as dramatic, but many users find the machines can lessen the signs of aging and improve the overall look of their skin. For almost all users Microdermabrasion is pain free. For some users with very sensitive skin or for those who don’t follow the manufacturer’s directions, there is some possibility of discomfort when using these types of devices. Most devices allow users to adjust the speed and the pressure of the vacuum (if it comes with that feature), so if there is any pain you can modify the settings. If you have ever done any professional treatments, you will know that they aren’t cheap. For ongoing treatment, the price can go into the thousands of dollars very quickly. At-home devices make this procedure much more affordable. The lower end devices are available for an initial cost of $30-$50, and you will need to also invest in replacement, puffs, filters or heads (depending on the device). You can get a good quality professional grade at home devices for $200 to $300, plus replacement tips, heads, and filters. You can also spend quite a lot more, but for most users, a $200 at home device should suit their needs. Q: Can you use these types of machines on your eyelids? A: No, they are not intended to be used directly on your eyelids. Q: What types of skin are safe for microdermabrasion? A: It is suitable for all skin colors. It is also appropriate for all skin types or texture. You should not have this treatment if you have Psoriasis, as it could make the Psoriasis worse. Q: Does it work for acne scars? A: It can be useful to help acne scars fade and in some cases disappear after many treatments. Depending on how superficial the scarring is you should begin to see improvement after a series of treatments, deeper scarring will take longer to see an improvement. Q: How old should you be before doing microdermabrasion? A: It is generally considered safe for patients who are aged 14 and up. Q.How often should I use at home machines for optimal results? Depending on what you are using it for, the general rule is 2 or 3 times a week for most conditions. If your skin is sensitive, you can use it less or use a lower setting. Q. How soon will I see some improvement? Everyone’s skin reacts differently to different treatments, but most individuals will skin results almost right away after the first treatment, and the improvement will continue throughout the procedures. If you want to save yourself some money, but still have beautiful, smooth, even-toned skin, at home microdermabrasion machines are a great option. They are a low-risk, anti-aging device that can exfoliate the surface layer of your skin without pain or the use of needles that some other beauty procedures require. They can help you improve your skin quickly and help reverse any damage.